This makes the FonePad a communications hub par excellence. I even got Viber working after sideloading the apk. And with messaging apps being so much easier on the eye on a 7-inch screen, there’s no need to reach for the reading glasses every time a missive arrives. The one major flaw with the FonePad is the camera - not the webcam, which at 1.2MP does a very good job and can record video at 720p, but the main camera. It doesn’t have one. With 8MP snappers common on all but the cheapest smartphones the absence of even a basic 5MP camera is a bit surprising. So, after a week how did I get on with using the FonePad in place of my Razr? Well, having my phone and tablet rolled into one was certainly convenient and the extra battery life was most welcome. The fact that I couldn’t slip it fully it into the back pocket of my jeans was occasionally a bit of an annoyance but it sat there securely enough when covered by my sweatshirt while wandering around Tesco so let’s not over-egg that pudding. Of course, a jacket or coat pocket or a pair of cargo pants is an instant fix to any pocketability issues, as is a handbag or backpack. As for looking a berk when using it in public, well, as a matter of principle I try not to use my phone when other people are nearby because I prefer not to inflict my conversations on complete strangers so it really wasn’t an issue. And anyway, so much communication is nonverbal these days that voice calling is increasingly a subsidiary function of many smartphones. I certainly get more texts, emails or Facebook and WhatsApp messages than I get calls, and the FonePad is a darned sight better at handling those. 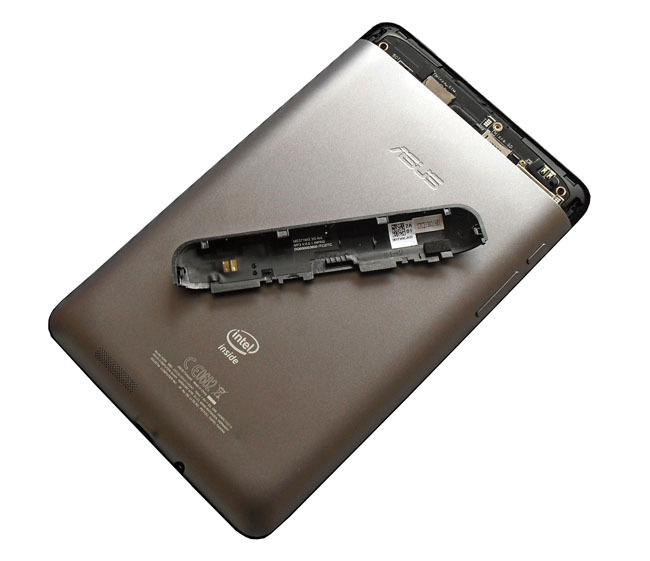 Incidentally, if any of you noticed the recent launch in Taiwan of a FonePad with a 1.6GHz Z2460 Medfield chip don’t hold your breath - the European market isn’t getting it, Asus tells me. So, can you live with a 7-inch, 340g smartphone? Yes. Naturally there are compromises to be made. I wouldn't want to take a FonePad with me to my local pub for the evening or to a gig, and the absence of a suitable camera is going to become an issue at some point down the line. But the cash savings and the sheer convenience of having one device rather than two to carry and charge does have its attractions. 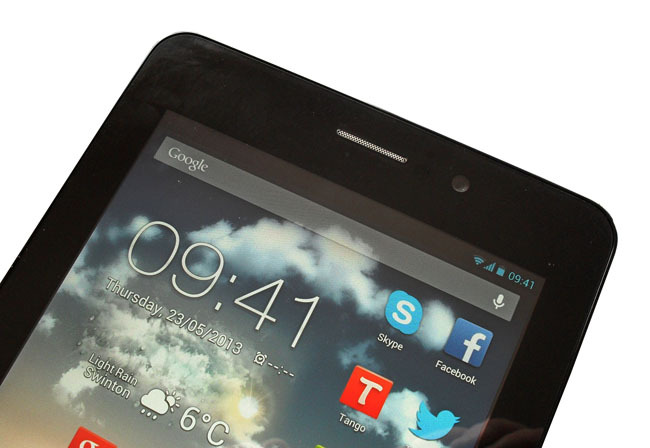 Considered simply as a 3G tablet, the FonePad is an even more impressive bit of kit. For the price, the excellent screen and reasonable battery life are very welcome and while it’s not the most powerful tablet around, 3D gaming aside it did all the things I asked of it quite as comfortably as my Nexus 7. Thanks to Carphone Warehouse for lending us a review device. The communications hub par excellence? 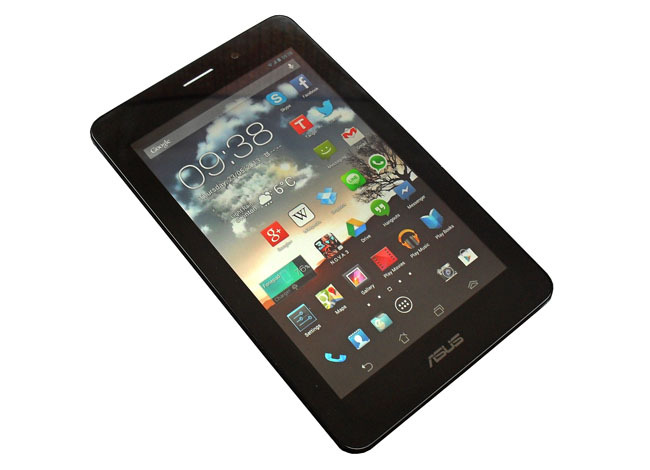 This seven-inch 3G tablet that functions perfectly as a phone just might well be.